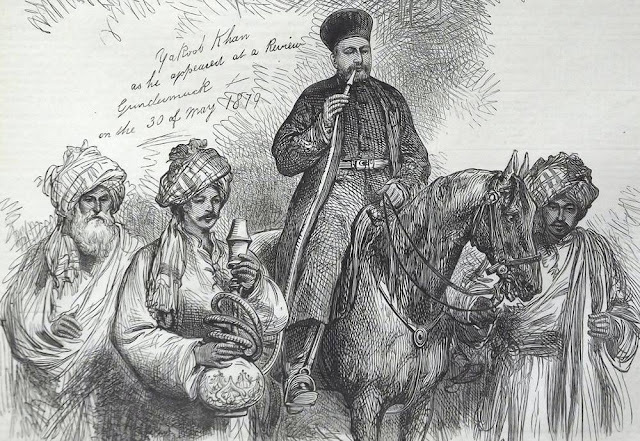 Barmazid Kur is one who joined Sher Shah in the beginning of his career and sprang up into top-rank prominence after his advent to sovereignty. He was a Sur Afghan according to Waqiat-i-Mushtaqi. All the medieval sources present him as a military general of dash and indomitable courage. In fact , his picture which emerges on going through the medieval works is that of a dare-devil whose tyranny knew no bounds. He could thrive only in the days of war. Kur means one eyed. Since he was known for his violence and cruelty , Badoani calls him both dajjal (anti-christ who would be a one-eyed tyrant according to Muslim traditions) and Hajjaj (who had suppressed the people of Iraq ruthlessly during the times of Caliph Abdul Malik and his successor). According to Afsana-i-Shahan, Barmazid Kur was one who served Sher Shah from the beginning of the latter's career. In the days (1530) when a conflict developed between Sher Shah and Jalal Khan Nuhani in Bihar, the latter, as in alliance with Mughals, requested Muhammad Zaman Mirza, the then governor of Jaunpur , to help him against his enemy. The Mughal governor of Jaunpur sent help to Jalal Khan Nuhani and Sher Shah's men were defeated. Barmazid Kur , who was the Khasa Khail (close associate) of Sher Shah , was taken prisoner with his dependents. But, soon he succeeded in making in making good his escape with the help of one of his ladies who happened to be an Afghan woman. Barmazid Kur seems to have been brought up and trained as a military man by Sher Shah along with other persons such as the princes : sons of Sukha , namely, Khawas Khan the elder, Shahib Khan (later Khawas Khan, the famous) and Shamsher Khan, Jalal Khan bin Jilo Sur, the Niazi Afghans like Haibat Khan Niazi, Isa Khan Niazi , Shujaat Khan Sur etc. For their long association with Sher Shah , these nobles are called by certain chroniclers as his 'Khasa Khails'. Abbas Sarwani mentions Barmazid Kur for the first time when Sher Shah deputed him to pursue Humayun towards Agra after the battle of of Qanauj was over (1540). According to Abbas , Barmazid was ordered by Sher Shah only to chase Humayun and not to give battle to the Mughal fugitives . His advance over-awed the vanquished Emperor who left Agra with his remaining followers and their families without any delay as the pursuing Afghan army was to reach there. But Barmazid is said to have been able to arrest a few hundred Mughals who might have been left staggering in or around Agra. He killed all of them mercilessly and was reprimanded by Sher Shah for his cruelty soon later. Thereafter Sher Shah never appears to have appointed Barmazid as the supreme commander of a military expedition , deputed against any region. He appointed his nobles known for their humane qualities over his rash and cruel generals as the cases of Nasir Khan , the faujdar of Sambhal and Barmazid illustrate. Henceforth , Barmazid had to work with Khawas Khan. For instance, Sher Shah deputed him under the command of Khawas Khan from Agra to occupy the western territories and treck the Mughals in the Punjab. Barmazid cooperated with the supreme commander and soon they became close friends. They remained together in the Punjab nearly for one year and travelled to Khushab, Multan and upper Sind region chasing the Mughals. Sometimes in 1541, Sher Shah took Barmazid with him to Bengal where he rushed to punish Khizr Khan , the supreme Muqta who had began to assume an air of independence. Haibat Khan Niazi , Khawas Khan and Isa Khan Niazi were left as the supreme officers to carry on the government in the Punjab in cooperation. Naimatullah includes an interesting anecdote in his Tarikh-i-Khan-Jahani which sheds light on the life and temperament of Barmazid Kur. Knowing fully well his violent temper and ruthlessness , Sher Shah also entrusted him with certain duties that another man having a little consideration for human life could fail in performing to the utmost satisfaction of the master. For instance Sher Shah called Barmazid Kur along with Masnad-i-Aala Khawas Khan and addressed them one by one. First Barmazid was told that when a person , accused of some crime, was entrusted to his custody , he was to put him to death even if he appeared to be innocent. He was not required to ask for royal permission ; for the mere fact that a criminal , left to his charge was the sign of his days having been numbered. Thereupon Baramzid bowed down and accepted the work of butchery with all pleasure. Contrary to it , Khawas Khan was left free to treat the criminal , he pleased. He could either spare him or kill him as the nature of his crime demanded. From the year 1541 to the beginning of 1544 Barmazid remained in the royal company and thus went from one corner of the Sur empire to the other i.e from Multan and Rohtas in Punjab to Gaur in Bengal , and then from Malwa to Marwar. In this period he must have played a significant role in the battles that Sher Shah had to fight against the rulers of Raisan and Marwar. Like Khawas Khan he also facilitated Sher Shah's work of subduing the entire region of Marwar kingdom from Ajmer to Jodhpur. Barmazid was posted in Ajmer along with Prince Adil Khan to invest its fort which was heavily guarded by the Rajputs under Shankar Bhati. The capture of the fort was by no means an easy task. The besieged garrison began to resist the Afghans boldly , and to relieve it of the outside pressure Raja Maldev also came out of Siwana fort to divert the Afghans by attacking their rear. But Sher Khan , who forestalled his attack, had come out to pursue him before he could do any harm to his men. While Sher Shah was giving a hot pursuit to Maldev , Barmazid and Prince Adil succeeded in capturing the fort of Ajmer. The Rajputs made a display of their heroic chivalry and were killed to the last men. On the complete subjugation of the territories of Nagaur, Ajmer and Marwar, Sher Shah sent Khawas Khan to organize the government there. Barmazid was entrusted with the administration of the Sarkar of Ajmer while Isa Khan Niazi was posted in Nagaur whereas Khawas Khan was appointed as supreme Muqta of all the Rajputana territories. Khawas Khan's radiating personality not only made him the beloved of the people of Rajputana but his comrades, Barmazid and Isa Khan Niazi, also developed attachment for him ; their feeling of professional rivalry , that was so common among the high nobles was shaken off . But this close association with Khawas Khan brought about their fall after Sher Shah's death. Barmazid Kur was among the first nobles who fell victim to Islam Shah's wrath in the very first year of his reign. The medieval writers make different statements in respect of the way Barmazid was killed by Islam Shah's order. Waqiat-i-Mushtaqi states that he was administered opium along with Prince Mahmud Khan and Qutb Khan Naib to die of its deadening effect in sometime. Tabqat-i-Akbari says that Barmazid was sent to Gwailor fort with some other nobles and they were blown off there. According to Badoani , the house in Gwalior fort, where the prisoners lived , was blown off by the gun powder ; Only Kamal Khan Ghakkar could escape. This picture is maid by polish painter Jozef Brandt and it is called "Towarzysz pancerny". 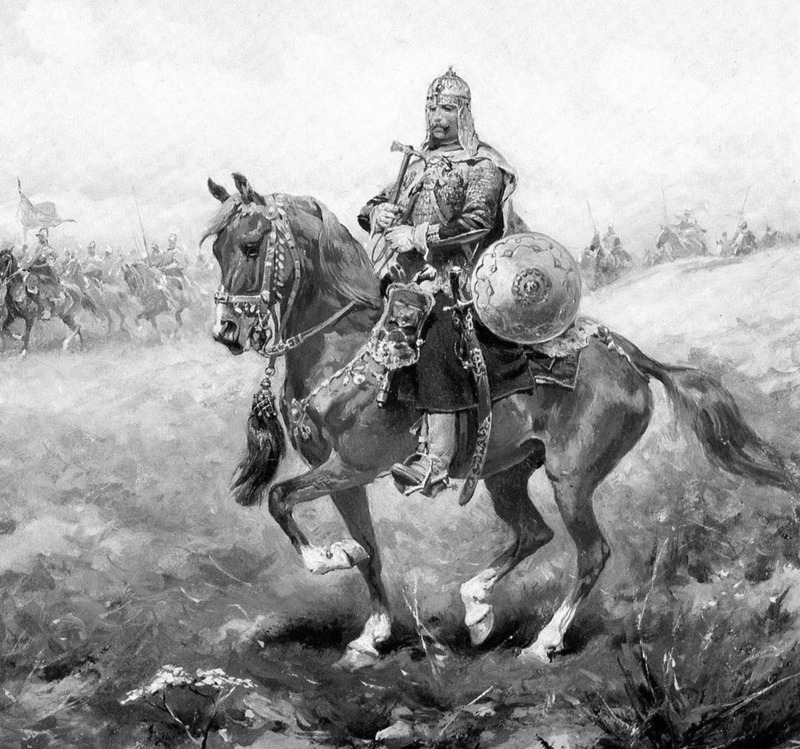 Polish cavarly had a lot of connections with persian and they believed that they came from ancient Sarmatians.